The 2017 Mid States Poker Tour (MSPT) held in Michigan had attracted the largest field in the history. There is no doubt about the massive success of the event as it had 1,066 entries registered for the FireKeepers Casino event in Battle Creek in MI State. 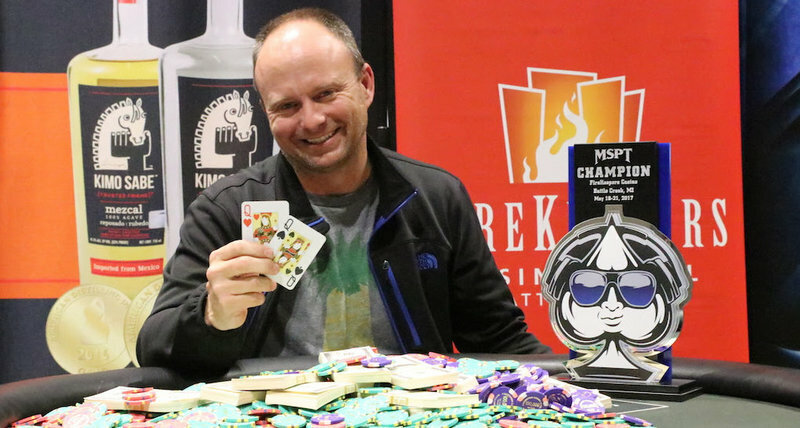 The MSPT $1,100 no-limit hold’em main event had a $300,000 guaranteed prize pool and this had tripled three times due to the huge turnout for the event. Mike Shanahan, an attorney from Indiana State, was lucky to have taken part in this prestigious event as he walked away victorious from the event and took home a whopping $216,829. This tournament is recorded to be the largest poker tournament in the history of poker events in the Michigan state. It is a great honor for Shanahan to beat the strong 1,066 entries at FireKeeperes event and to win such huge prize money. Mike said that he felt that this was the best he has played poker for a long time and was looking good at the table for the past couple of years. He really enjoyed his time at FireKeepers and was happy to dig deep and to finish the tournament on a high. Shanahan defeated one of the best poker professionals in Aaron Massey to claim the title and the prize money. Massey came second and took home $131,646. He was the winner of last year’s event. Massey now has total lifetime live tournament earnings of more than $3.2 million. He is truly a world-class poker player, but it was Mike Shanahan’s day at the MSPT event. Lance Allen, the VP of Table Games at the FireKeepers Casino, said that poker is a priority in the casino. The best part about this tournament was that it was the largest ever MSPT event to be held outside the Las Vegas state. It is also the largest tournament held in the Michigan State.